Gone are the days when people had no option but to sit and wait, worrying until their kids got home. Every time there was a delay used to create a panic situation among parents. But thanks to the Kidgy parental control app that has made lives of parents easy and stress-free. 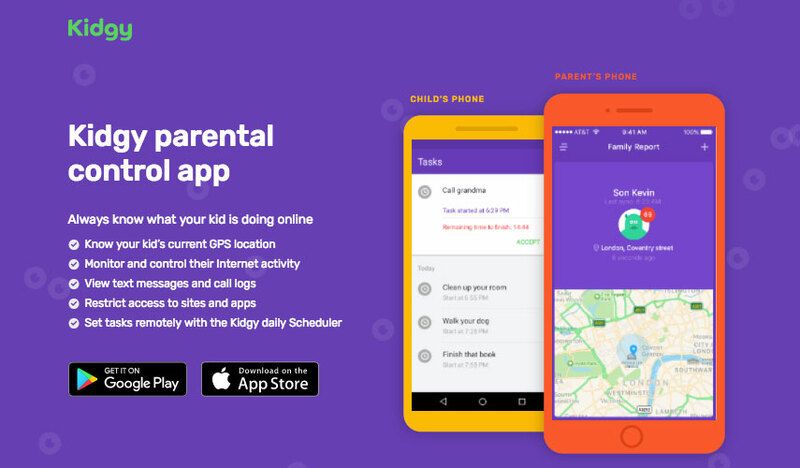 This app can convert your iPhone into a real-time tracking device on whereabouts of your kids. It does a lot more than just tracking their locations which helps you in keep a close eye on everything your kid does or where he goes. You are required to install this app both on your phone as well as your kids’. The app asks you to set up profiles on both phones and lets you choose from parent or child. The app with parent profile will have the control over the phone that has the app with child profile. The moment you do that, you will gain control on your child’s activities. Only you will know what you are tracking and that makes it more effective. Messages – The kidgy parental control app allows you to monitor all the messages your kid sends and receives. You will also be able to read the deleted ones, so there is no way your kids can hide that from you. GPS Location – This simply shows the exact location of your kids on the map. The feature also lets you set virtual fences beyond which you do not want them to go. So if everytime they are out of those fences, you will get an alert of a breach. Panic Button – This is a great feature to rescue your kid should he or she get into some kind of trouble. With a touch of this button, you will get a red alert and the location from where they pinged. So you can take swift action and go there to the rescue. 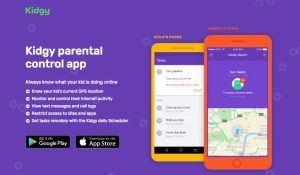 Internet Filter – With this kidgy parental control app feature, you can not only monitor your kids’ online activities but you can control them too. You can block adult sites and any other sites you deem unfit for them. You can even restrict internet connection when they are in school or at home studying for exams. Schedule Planner – You can set daily tasks for your kids and even assign the time by when they need to finish them. This will keep them on alert and teach them to be responsible individuals. This is great for helping you create a disciplined environment for your kids. Calls and Apps – You can track who is calling your kids and even block the contacts that you find suspicious. You can even control the apps on your kid’s phone and block or remove the ones that you find is not suitable for them. In a nutshell, this app allows you to closely monitor your kids even when you are not physically near them. It also safeguards your kids’ phone usage and stands guard to keep them away from trouble, The app is free for download, however, there are certain additional features that you can purchase too. It supports iOS 9 or later and consumes 25.8 MB of download space.